Stonefield Query Enterprise Web from Stonefield Software Inc. is a self-service, ad hoc, query and reporting solution that enables you to create and deliver business reports quickly and efficiently. Stonefield Query works with virtually any database, including Oracle, Microsoft SQL Server, IBM DB2, MySQL, Pervasive SQL, and many more. It even works with other types of data sources, such as Microsoft Excel spreadsheets, text files, web services, and anything with an API for data access. Stonefield Query walks you through the reporting process in 5 easy-to-follow steps so you can build professional reports in minutes, not days. Users can only see data that belongs to their organization even if the records are all in one database. 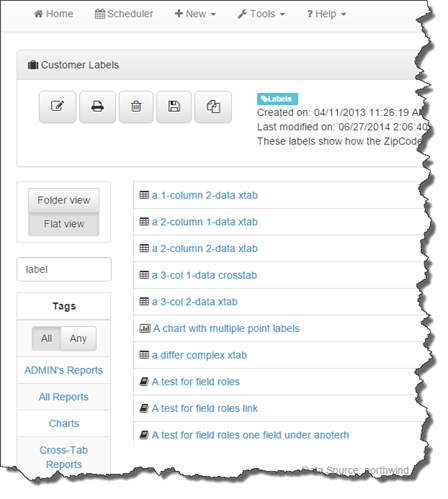 They can also only access reports, tags, and formulas created for their organization.